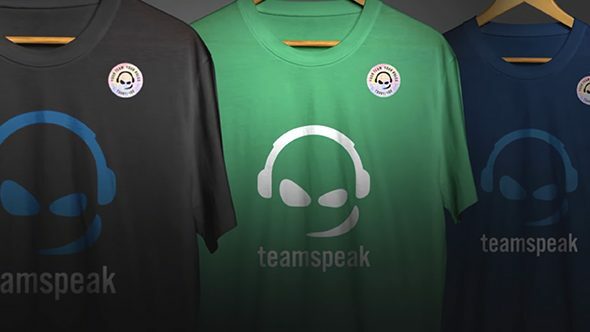 TeamSpeak has fallen from its position as the top gaming voice chat provider, but its makers are rebuilding and rebranding in an effort to take back their spot. Ahead of TeamSpeak 5’s launch later this year – yes, they’re skipping 4, Windows 10 style – the service has a redesigned website which makes some very specific digs at the competition. Chat with your friends while you play the best multiplayer games on PC. In addition to the privacy features, TeamSpeak is also banking on its voice quality, low lag communication, “military-grade security,” customisability, and positional audio. You can see the details on the website, and you’ll soon also have the option of picking up merch emblazoned with the new logos, as well as “TeamDeals,” some sort of weekly savings program. Of course, that’s all just branding which largely speaks to the kind of service TeamSpeak has provided over the years. More concretely, TeamSpeak 5 is set to launch later this year as “an all-new feature-rich client built on the foundation of TeamSpeak 3.” The new features coming with the upcoming client haven’t yet been announced, but it will feature Twitch integration and the same sorts of privacy and security measures you’d expect from the previous iteration. Given TeamSpeak’s willingness to directly call out the competition with this rebrand – and the modern design choices accompanying the website – it’s fair to expect the upcoming release to feature a more streamlined design and UI. If all these features come together under a more modern interface, jumping back into the arms of the old king of VOIP would be an enticing proposition.